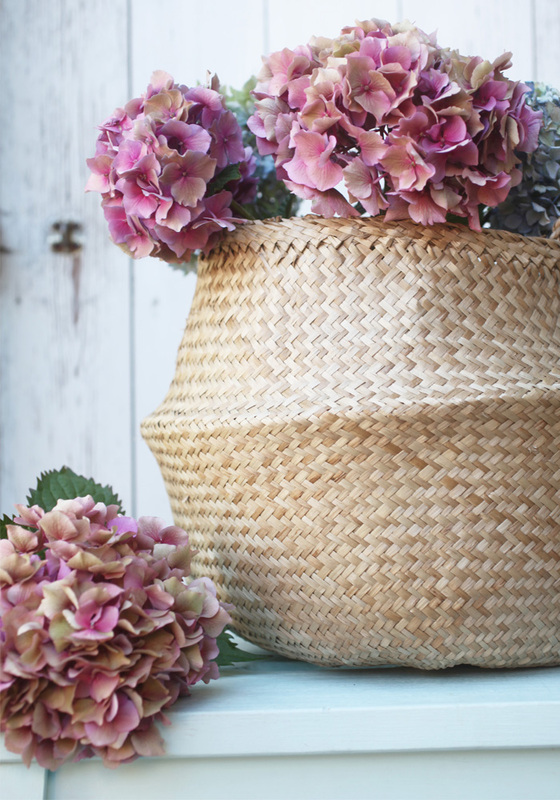 When I was on holidays in France last week, I saw a really beautiful photo of our natural basket filled with Hydrangeas, in my Instagram feed. I love Hydrangeas. My mum has some bright pink ones in her garden in France which look vibrant and beautiful and I think it is a very poetic and feminine flower, don’t you think? Those gorgeous images were taken by Emily Quinton, an Award-Winning Photographer and you can see more of these beauties on her blog: Start-up Wife. Emily also runs Floral Friday – a weekly celebration of floral creativity on Instagram. Check it out, there are some really beautiful photos and some very talented people out there. Today is DAY-2 in Paris and Francois and I are shooting a beautiful, vegetarian cafe for The Simple Things magazine but if you can, try to get issue 14 (out now) which features Artisan and issue 15 (out soon), which will have the cafe we shot in Brooklyn.